Hey guys. I'm kind of a newbie to vaping, so I don't exactly know all the terminology and stuff. 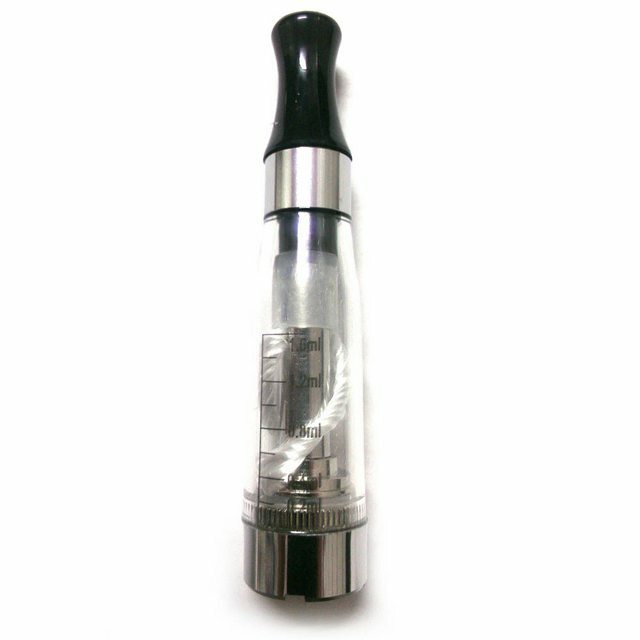 Can anyone explain what Sub-ohm vaping is to me? It'd be greatly appreciated! Hi there, basically sub ohm vaping is when you build your own coil/wicks that when tested on a ohm meter read out at less that one ohm resistance. 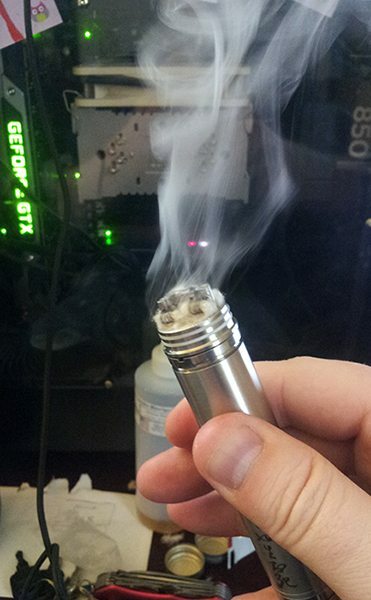 Those wicks you see in there.... at the top of them is some wire wrapped in a coil around the wick. The main reason people sub ohm vape is for massive vapor and flavor production but you MUST know your battery safety and how sub ohm vaping relates to the batteries you are using so nothing bad happens. here is just a random video I found with some info on sub ohm vaping, It's early for me so I hope I made sense lol post questions if I missed something. What an incredibly informative post! That answered all my questions about it. You're the man!! Is there any place on the net to straight up buy a vape that would produce that much vapor? hun10sta Wrote: What an incredibly informative post! ha no problem man and nah you don't really find pre-built atomizers like that. You can find pre-wrapped coils of various resistances and wire gauge on ebay though and then you would just install the coil and some cotton wicking onto whatever rebuild-able atomizer you are using. If you hit a point where you are comfortable with battery safety and attempting to get into rebuildables i might suggest picking up a Copper Nemesis clone and a Mephisto RDA with the copper ring from ebay. The copper Nemesis is nice because the copper is more conductive than stainless steel which results in a lower amount of voltage drop (you get better hits), and the Mephisto is really easy to build on with a wide range of Kanthal gauges. Get yourself some of the batteries he covers and a cheap ohm meter like he uses and try building a few coils but I would build ones that end up reading out at no lower than 0.5 ohms (thats dual and single coils) because lower than that and you are getting in to the extreme zones.